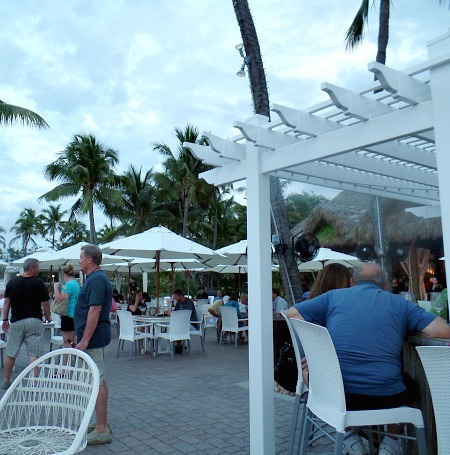 Key Largo restaurants are in the fortunate position of being able to offer you the best of everything. Incredible water views, amazingly fresh and succulent seafood, and al fresco dining. Below I've listed some of the best restaurants in Key Largo, Tavernier, and Islamorada that are known for their consistent quality and good service. You'll find that there's a common theme running through many of them, and that's their ability to provide you with some of the best seafood. They also specialize in serving food that is dressed with just the right amount of Southern hospitality, and seasoned with a pinch of Floridian know how. 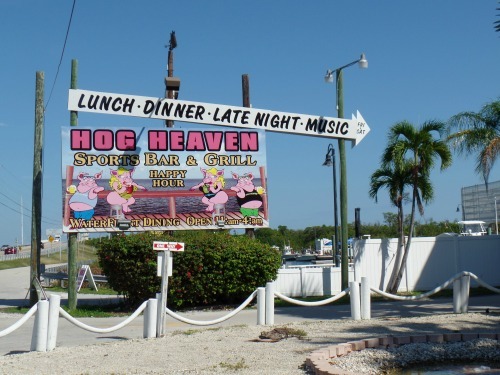 Even the majority of the best restaurants in Key Largo keep things somewhat Florida casual. What could be better than enjoying a delectably prepared meal, and still be able to comfortably relax. It's nice not to have to always worry about maintaining the most proper of table manners and perfect decorum. No matter how much time you have to spend in the Upper Keys, I'm sure you'll have fun working your way through this list of restaurants near Key Largo. For your convenience, I've arranged the categories geographically by city, starting in the north and moving south. I've then listed the restaurants in each category alphabetically for quick reference. As you begin to sample the fare at these top restaurants in Key Largo area, you'll find that not only is the food good, the people are friendly. You'll also enjoy the heady combination of fresh sea air, and spectacular water views most of these restaurants are able to serve up. Featuring a great selection of seafood and all you can eat stone crab, this is a routinely favorite spot with residents and tourists. Guests are also invited to enjoy happy hour or dine alfresco on the patio. A unique dining experience overlooking Florida Bay, patrons are treated to a casual atmosphere that serves up deliciously prepared gourmet food, along with consistently spectacular sunsets. Featuring numerous "Bogie" artifacts and referencing the much beloved African Queen this Holiday Inn restaurant is open to the public. Featuring inside dining or alfresco by the pool, patrons can enjoy breakfast, lunch, or dinner. Happy hour is also available at the poolside tiki bar. Casual waterfront dining where you can enjoy local favorites such as conch and shrimp, along with other fresh seafood, juicy steaks and mouth watering desserts. 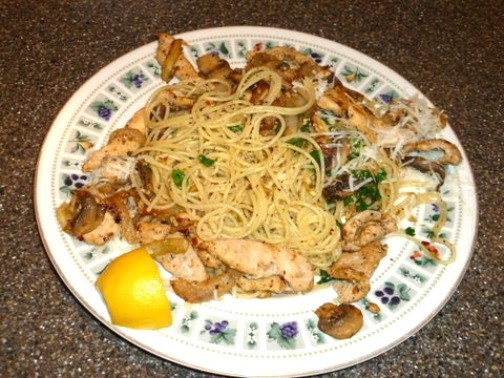 Located in downtown Key Largo, this traditional style Italian restaurant, shares family recipes deliciously prepared along with fresh seafood. Diners can also enjoy a broad selection of wines and specialty liquors to cap off their meal. Serving many of the Original Fish House Key Largo restaurant's raved and faved menu items. Encore serves up additional fresh specialties including sushi. Decorated with a tropical flair, diners will enjoy an exciting and tempting selection of scrumptious fish and seafood. Located at the Key Largo Bay Marriott Beach Resort, this restaurant features fantastically prepared Floribbean specialties. Guests not only enjoy the freshest food, they're treated to spectacular ocean views and breathtaking sunsets, making this the perfect fine dining experience. Casual dining with great food that is always fresh. A local favorite, the menu features steak, BBQ, and poultry, along with a good selection of seafood prepared a variety of ways. Located on Lake Largo, patrons have a choice of fine or casual dining at this popular boat accessible restaurant, that serves up consistently delicious seafood and other tasty fare. The waterfront glassbottom bar features happy hour, live music and is also dog friendly. Optimum water views, spectacular cuisine, and an exotic blend of history add to this restaurant's dining experience. Featuring ultra fresh food prepared with a Floridian flair, patrons can enjoy dining inside or out. 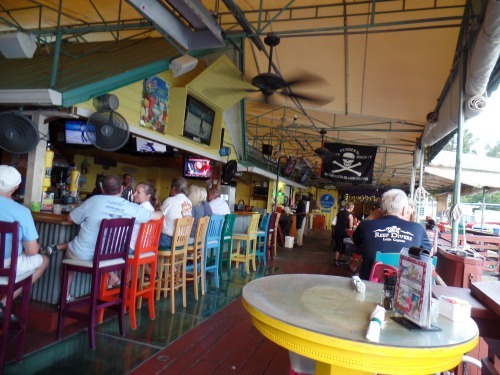 Enjoy scrumptious food and refreshing drinks served inside or outside at this popular Key Largo restaurant and bar. Each evening celebrate another perfect day in paradise, listening to live music and watching the sun set over the clear, calm waters of the Gulf of Mexico. The restaurant's name says it all! Enjoy breathtaking water views and spectacular sunsets when dining inside or out. Delicious steak, seafood, ribs and other mouth watering items are complimented by a vast wine selection. 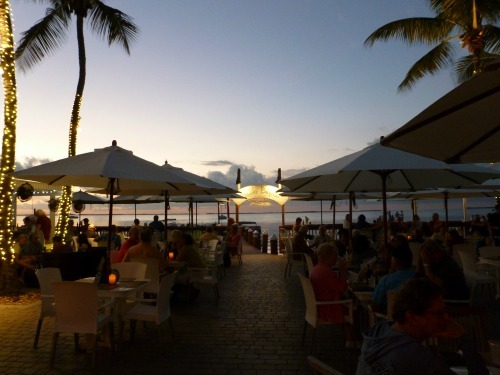 A fun, waterfront favorite, that features delicious conch fritters, live music and drinks. Don't let the throw away plates and forks fool you. This casual, waterfront restaurant specializes in the freshest and healthiest food prepared with the very best ingredients. It also features over 200 original creations designed for your blissful enjoyment. Known for years as the Hideout, nothing's changed but the name. You can dine in or out and enjoy real home cooking that is delicious and filling. Known for it's mouth watering fish Fridays, breakfast is also substantial and good here. Enjoy the water and the music while relaxing over a tasty and hearty meal. Considered a local favorite, the daily specials provide good value and delicious eating whether enjoying breakfast, lunch or dinner. If coffee is your thing, this popular cafe with a European flair, will give you a kick start anytime of the day. Pastries are also fresh, delicious and very gourmet at this Tavernier location. This Tavernier restaurant features an extensive breakfast and lunch menu that is creatively different, and deliciously tempting. If you're looking for a dining experience that will tease, tempt and tantalize your taste buds, this restaurant in Tavernier fits the bill. Artfully blending Asian, Caribbean and Mediterranean flavors into an eclectic menu that's definitely worth exploring. This outdoor cafe and bar serves up delightful Floribbean style food in an atmosphere that is off the charts gorgeous with it's spectacular views. Relaxed dining at it's best, the menu features succulent seafood, hand cut steaks, and a delightful lunch menu that transforms the ordinary into something special. The delicious combination of quality meats, special blends of spices, and slow roasting over an open fire work together to create the absolutely perfect, taste sensation. Serving juicy prime rib, steaks and the freshest seafood, everything is prepared in a variety of delightful ways. This restaurant is consistently reliable and good when it comes to serving some of the best meals on the island. Showcasing more than typical Asian fare, this restaurant also features delectable steaks, seafood and fish, exquisitely prepared with mouth watering sauces and sides. 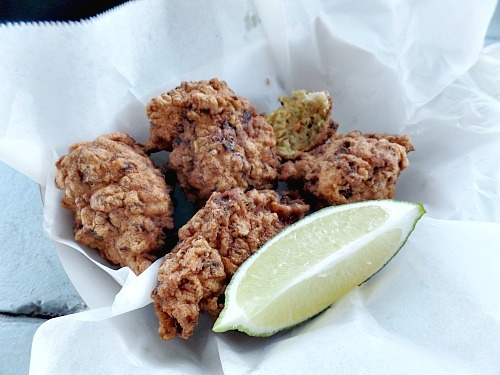 Known for some of the best fried seafood around, the food is fresh, lightly battered, crisp tender, well portioned, reasonably priced and delicious. Exquisite views, and tasteful decor combined with the most delectably prepared foods, create absolute perfection at this stand out Islamorada restaurant. Casual dining with an extensive menu, delicious cocktails, great views, and live music make this restaurant and bar a favorite with residents and tourists. An unexpectedly delightful find in a strip mall, this authentic Spanish restaurant features generous portions, above average pricing, and traditional fare including tapas and paella. A blend of cuisines from Italian to Island will tempt your taste buds at this casual, and friendly eatery. Particularly noteworthy are their delectable fish items including their grouper reuben and popular spicy fish tacos. Featuring 85 different buffet items including a broad selection of succulent seafood and mouth-watering beef dishes make this one of the best buffets in the Florida Keys. For the pastry addict, this is a must "stop and taste" destination for breakfast or lunch. Whether you're craving pastry, pies, cinnamon buns, muffins or cookies, your urge will be happily satisfied. Serving lunch only from 11:00 to 3:30, this funky and fun restaurant and bar treats guests to panoramic ocean views while sipping a favorite cocktail or draft. A good lunch menu features burgers, fish, and a variety of tasty finger foods including wings and ribs. This is Florida, and this is the Upper Keys. The top of the food chain when it comes to this magnificent string of islands. The food is flavorful, fresh and delicious at these popular Tavernier, Islamorada and Key Largo restaurants. 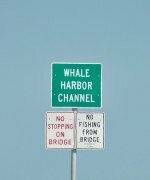 You'll also find that no matter where you go, the food is served with a hearty welcome, a genuine smile and that special ambiance you can only get in the Florida Keys. If you find a particularly fascinating restaurant that you feel should be on this list, feel free to share your raves and reviews on where you ate.